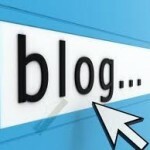 Blogging – An effective way to escape Search Engine ranking doldrums. The need for a good search engine ranking is felt by most companies. With Google already incorporating freshness and social media buzz into its algorithms, only optimising the website would not do. Social Media and other human interaction may indicate a relative popularity to your website. Commenting, re-tweeting, reposting, sharing, emailing links, votes, likes, check-ins, pressing play on videos, and more — all of these things are types of user interactions that Google could potentially quantify for ranking determinations. Links and references from social sites are increasingly important for search engine optimization. Activity … Activity … Activity!! Very simply, it all boils down to one basic word: ACTIVITY. Google’s obsession to human generated signals may directly lead your website to be interactive with your viewers and various social media. This would ensure visitors do some activity in relation to your business and your website contents which would affect your rankings. So, a set-it-and-leave-it website will not do and you need to come up with ways to increase activities on your websites and the locations which these activities have to happen. 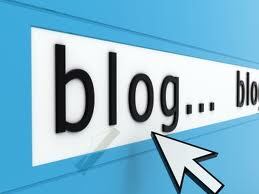 Blogging is an interesting activity to keep the freshness to your website. Google gives an unusual degree of ranking value to blogs. Each time a new blog post is added, a new page is indexed by the search engines. Each indexed page adds another ticket to the great Google lottery. The more tickets you hold the better chance of winning the top spot in the search engine rankings. But you must actively post to the blog to get the best deliver. By its very nature blogging is a very dynamic activity. Blogging invites interaction by way of comments and sharing. Word gets around that you put up some valuable information on the blog. A couple of blog posts have been emailed to your colleagues or clients who in turn are starting to link to the blog. These specific posts are linked as references in some of the websites. Google likes these incoming links. And if the links are from High Profile clients, then Google would really love these links and conjures that your blog is important and move your website up the search engine rankings. Besides, your blog posts provide fuel for your social media presence. Each time you publish a post, you should also post the link to it on your various social media accounts such as Twitter, Facebook, and Google+. If you’re posting a photo, you can also post it with a link back to your blog post on Flickr and Pinterest. If you post a video on YouTube, embed it into a post on your blog as well. As you consistently broadcast your activities across multiple platforms, you have the opportunity to engage with the unique audiences at each place. Although it doesn’t happen overnight, a blog can be one of the best ways to get a good ranking on search engines. Use a call to action at the end of the blog post to direct the reader to other parts of your website. Provide a clear links that encourage visitors to explore the rest of your website. If your business is not blogging, just register at TROPPUS. Our website support would help you to set up your blog and also maintain it.